The Genesis G90 is a full-size luxury sedan and the automaker's largest offering. The G90 is roughly similar in size to the outgoing Hyundai Equus, although the two are unrelated. 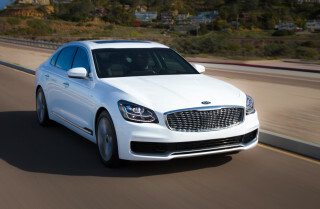 With the G90, Genesis competes in the big leagues against the likes of the Mercedes-Benz S-Class, BMW 7-Series, Jaguar XJ, and Lexus LS, while undercutting most of them by about $10,000. If the story sounds familiar, it's largely the same path that Lexus, Acura, and Infiniti took with their flagship luxury cars a couple of decades ago. The 2018 G90 lineup sees few changes this year. The 3.3T Premium now includes standard LED headlights and the 5.0 Ultimate gains a rear-seat entertainment system. Both trim levels now include a CD/DVD player tucked into the glove box. 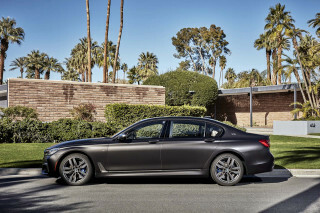 The 2019 G90 was identical to the 2018 model. Compared to the Equus, the G90's wheelbase is 4.5 inches longer and the car is 1.8 inches longer overall. 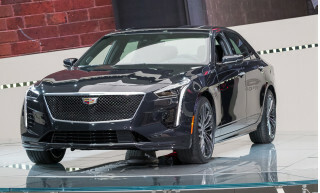 It's also an inch wider, and the extra size means it weighs about 200 pounds more comparably equipped, though a new V-6 engine saves 120 pounds. That V-6 is the base engine. It's a twin-turbocharged version of the brand's V-6, here displacing 3.3 liters and making 365 horsepower and 376 pound-feet of torque; the latter is available from 1,300 to 4,500 rpm. Also offered is a 420-hp 5.0-liter V-8, which makes only 7 more pound-feet of torque than the V-6, but is less fuel efficient. 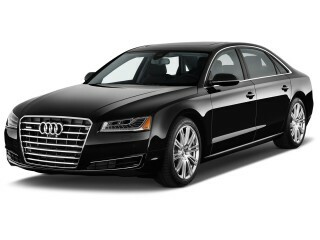 The lone transmission is an 8-speed automatic, and both engines are offered with rear- or all-wheel drive. 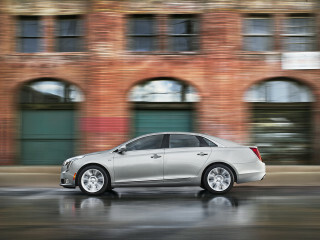 With rear- or all-wheel drive, the V-6 is rated at 17 mpg city, 24 highway, 20 combined. The V-8's ratings are 16/24/19 mpg with rear drive and 15/23/18 mpg with all-wheel drive. Like the Equus, five-link suspensions are found front and rear, and the shocks are electronically controlled to offer Comfort, Comfort+, and Sport modes. The steering is a rack-mounted electric assist system with variable ratios. The wheels are 19-inches and they house brakes as big as 14.8 inches in diameter up front with the V-8 engine. More than just the suspension is programmable. An Intelligent Drive Mode selector offers Eco, Smart, Sport, and Individual modes to control the steering and the engine/transmission. Within the Individual settings, the powertrain has only Eco and Smart modes, while the steering offers Comfort and Sport settings. 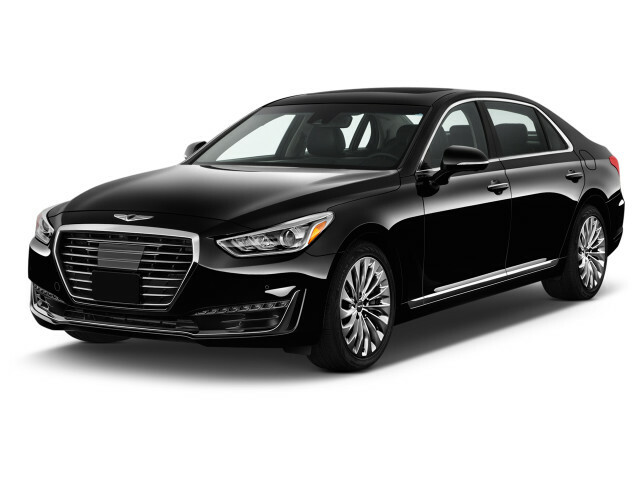 Up front, the G90 features the brand's new "crest" grille, a large chrome shield that is wide at the top and tapers downward. The view from the side shows the car''s classic rear-wheel-drive stance, with a long hood, a set back cabin, a short deck, and short overhangs. Inside, the G90 features a horizontal layout that accentuates its width and luxury. A large 12.3-inch screen dominates the center of the dash, and below it are ergonomically designed metal buttons to help control it as well as the climate functions. The top quality materials—leather, wood, Alcantara, and metal—come together to create an environment that you'd love in your living room. Also standard on all models is an extensive list of safety features that includes forward collision warnings with pedestrian detection and automatic emergency braking, a forward-view cornering camera, a surround-view camera system, front and rear parking sensors, lane departure warnings and lane keep assist, blind spot monitors with rear cross traffic alerts and lane change assist, driver attention alert, adaptive cruise control, adaptive headlights with automatic high beams, and nine airbags (including a driver knee bag). There are no safety options; all Genesis buyers are well protected. Federal testers haven't yet rated the car, but the IIHS gave the Genesis G90 a Top Safety Pick+ award for its "Good" ratings on every test and advanced safety features.